Image: The Solar Trade Association. 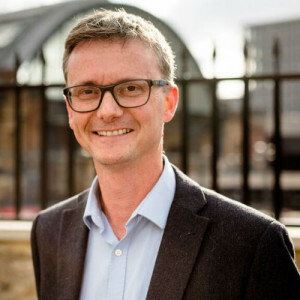 The Solar Trade Association (STA) has announced that Chris Hewett will take the reins as the trade body’s new chief executive. The STA's current policy manager will succeed Paul Barwell when the latter steps down in January, just six months after initially joining the firm. Meanwhile the association has also announced the promotion of head of external affairs Leonie Greene to a directorship role, a move the STA said recognised her “huge contribution to the industry over many years”. Solar Power Portal understands that further decisions over the structure of the team at the STA, including a potential replacement for Hewett as policy manager, are to be discussed in the New Year. STA chairman Jonathan Selwyn said that the association had been impressed with the “intelligent and strategic approach” taken by Hewett since his arrival. “[Hewett] brings tremendous experience and skills to the Association at this critical juncture. Solar is poised to play a lead role at the heart of the UK’s smart energy transformation, but making the economics of solar work today depends on pursuing every opportunity to boost markets, including securing effective regulatory change,” Selwyn said. Hewett meanwhile said he was honoured to lead the UK’s solar industry “into its next phase of growth”, hinting at the association’s future direction. “As we move away from a subsidised market, our role at the STA will be to showcase the brilliance of the solar and storage industries, to identify and promote effective new business models, to safeguard quality, and to secure a level playing field in terms of policy and market frameworks. The STA’s strategic plan is to be reviewed early next year. Members will be invited to contribute at the association’s forthcoming AGM next Spring. Hewett was also full of praise for the current chief executive Barwell who has led the association since March 2012.